The Mayor of Earley Town Council, Brian Wedge, went along to the Wokingham Borough Sports Council Sports Awards on Friday 23rd November. 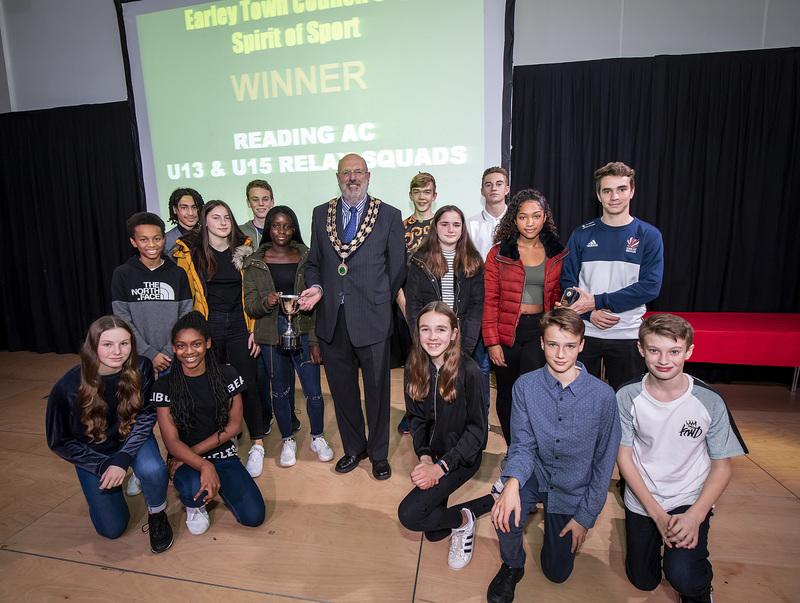 As part of the event, he presented the Earley Town Council Cup for the ‘Spirit of Sport’, awarded to Reading AC U13 & U15 Relay Squads. Well done to all the nominees and winners across the evening.